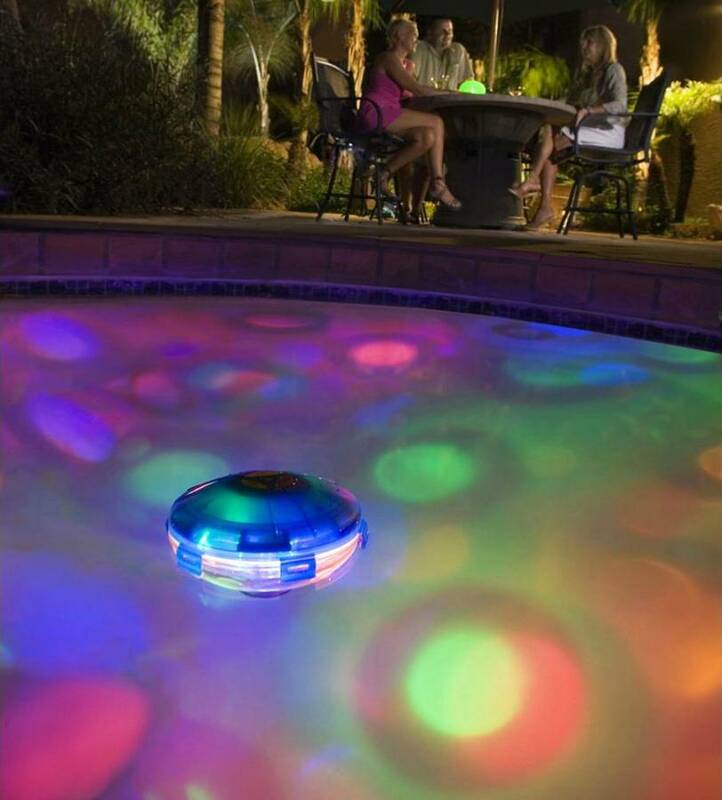 The Aqua Glow Starship pool light is twice as bright as the original Aqua Glow. The Aqua Glow Starship is not only larger in size, but it includes a rotating device that adds unique lighting effects to the show, and it comes equipped with a custom auto-off timer. Your pool will be transformed into an underwater disco of light and color. The Aqua Glow Starship pool light has double the LED lights, so it is brighter and more dramatic. Starship's exclusive rotating device turns the bottom of your pool into a galaxy of light and color. You can select to turn off the light show after 1, 2, or 3 hours. Great for pool parties! 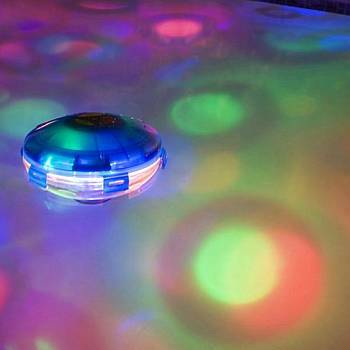 The Pool Disco Ball Starship measures 7.5 inches in diameter and features 10 light show effects. The Starship will light a diameter of 15ft in a 5-6ft deep pool. If you have a larger pool, you may want more than one. Runs on 3 AA batteries -Not included.